I would have loved these foodie pockets as a kid. Truth be told, I kinda like them now too! 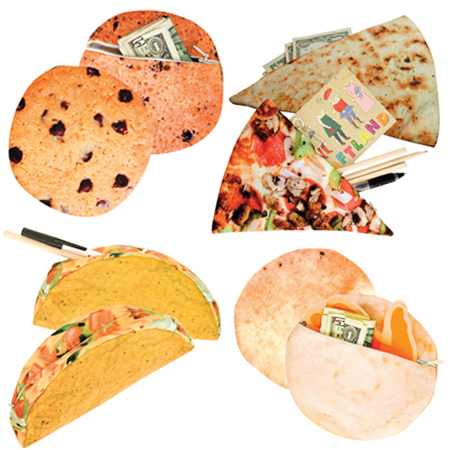 Stash your cash and all your treasures in a rogue cookie, pizza slice, taco or pita. Can you imagine the looks shot your way if you carted one of these things into a business meeting? Very cute... not sure how practical but I'll give them the thumbs up for just being unique and making me hungry.